The Development Evaluation Unit of the Ministry for Foreign Affairs (MFA) commissioned an evaluation on forced displacement and development policy. The purpose of the evaluation was to increase awareness and knowledge of the concept of forced displacement and the links between humanitarian assistance and development objectives, and help to integrate these concepts into the practices in the MFA. The evaluation looked at how coherently Finland’s development policy and its targets relating to forced displacement have been implemented and how the coherence could be enhanced in development policy and cooperation. A frail woman in black stands before hundreds of people and recounts the story of her family. Her six sons were killed after having their throat cut by the terrorist organisation ISIL in a brutal attack in rural Afghanistan. She hoped that no mother would have to go through what she went through. Afghanistan is one of the most dangerous countries for a girl to be born. Finland has funded Marie Stopes International’s work for the future of girls for a long time. Every year as many as 15 million children globally are forced to marry before they reach 18 years. Wednesday 11 October marks the International Day of the Girl Child. The WASH in Schools (WinS) Programme in Afganistan from 2012 aims to make visible the value and impact of school sanitation as perceived by the community and thereby raise the level of ownerships; promote the importance of WASH in schools at national, state and district levels as well as to improve hygiene practices among school children, their families and communities. UNICEF wished to conduct an evaluation of the WASH in Schools (WinS) programme, whose findings and recommendations are intended to (1) guide UNICEF, the GoA and other stakeholders to improve the WinS programme, and (2) contribute to evidence-based policy making in the field of WASH and maximize the impact of the programme. In 2016, more than 20 project evaluations on development cooperation were carried out in different departments of the Ministry for Foreign Affairs of Finland. Evaluations were made on all continents. Below evaluations are listed by country, region or organization. Minister for Foreign Affairs Timo Soini visited Kabul and Mazar-e-Sharif in Afghanistan on 24–26 October 2016. The purpose of the visit was to learn about the effectiveness of civil and military crisis management operations and meet Finnish actors and Afghan political leaders. In the Brussels Conference on Afghanistan on 5 October 2016, co-hosted by the EU and Afghanistan, the international community undertook to aid Afghanistan's development in 2017–2020. 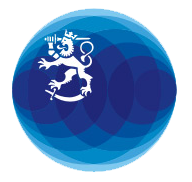 Finland's pledge in the four years will be approximately EUR 110 million. The majority of the support will be channelled via the World Bank and UN agencies to three central sectors: law and security, development of basic services, and development of the economic infrastructure. In 2015, more than 20 project evaluations were carried out in different departments of the Ministry for Foreign Affairs of Finland on development cooperation. Evaluations were made on all continents. Below evaluations are listed by country, region or organization.